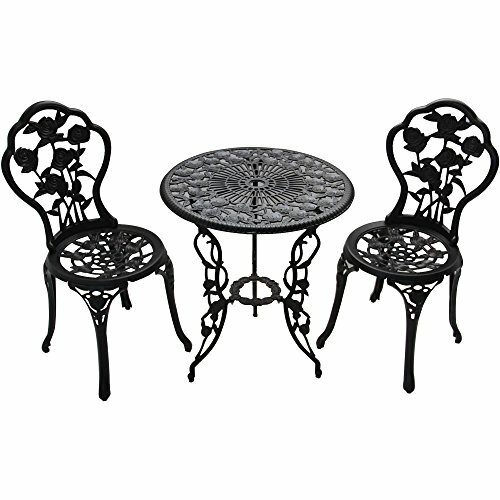 Save 1% on the Patio Furniture Outdoor Garden Rose 3-Piece Bistro Set 1 table and 2 chairs aluminum cast-iron legs rose pattern by Better Homes & Gardens at COTM Blog. MPN: 152401-C1547. Hurry! Limited time offer. Offer valid only while supplies last.